It cannot be helped that sometimes when you want to specifically own a commercial property, you would have to resort to a commercial loan, if it would seem that buying and paying for a commercial property on a one-time basis would seem much on your part as an entrepreneur. 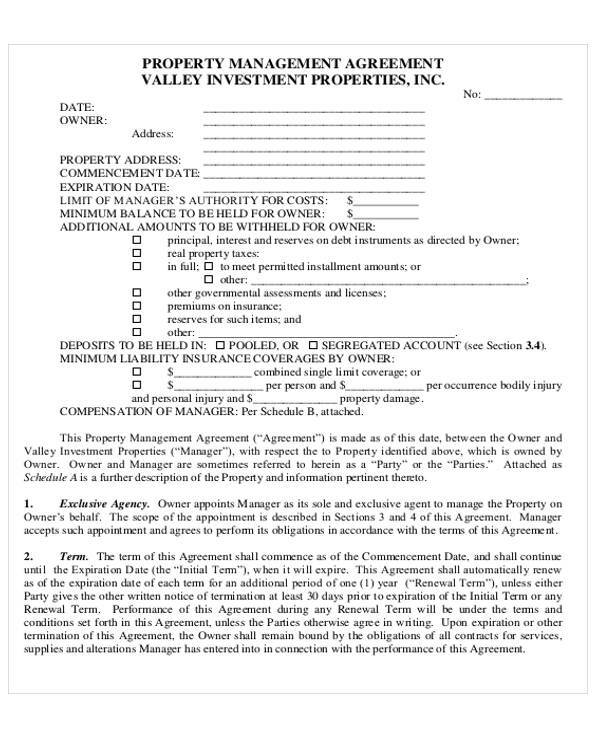 As there are a lot of agencies as well as firms that would sell or offer commercial loans so that it will be easy on your part, it is still essential and highly advisable to always be careful and cautious when dealing transactions, especially huge ones that would necessarily involve a lawful agreement.Consider having a look at Sample Agreements that you may find useful. 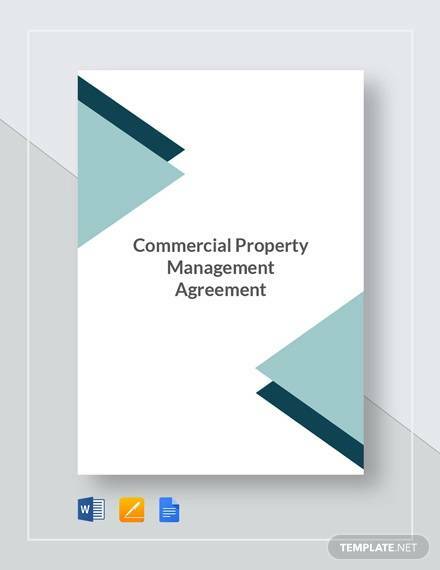 Other than that, you may also check out samples of Commercial Lease Agreements as well as Commercial Rental Agreements to start with, for free. Aside from the importance of calculating the risks involved before making or executing any significant changes whatsoever, it is also some sort of a common sense that you would have to gain or gather some necessary information and details in terms of the subject matter. 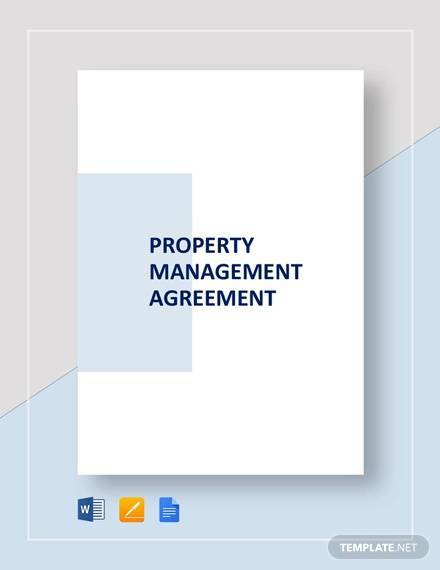 Moreover, it is also fairly important for you to know or at least familiarize yourself with some details, tips, and guidelines, which you can be able to use as a reference toward your pursuit of the commercial property that you are either aiming to get or rent. 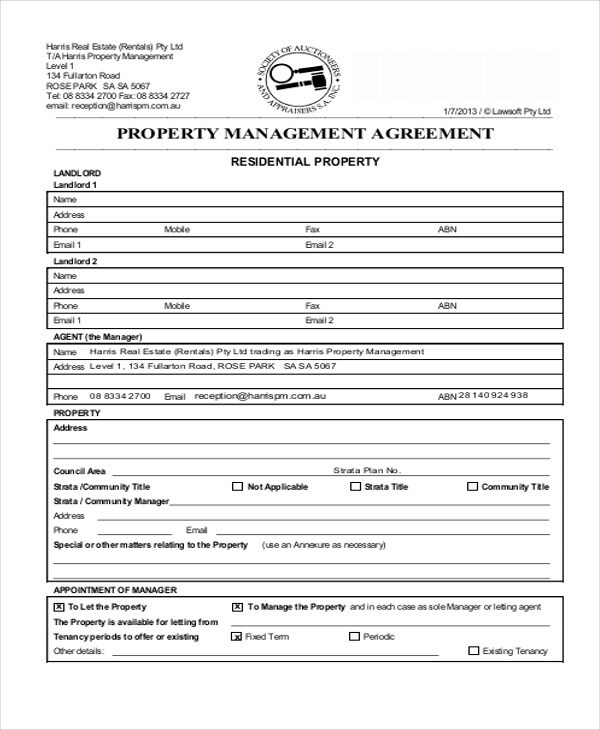 Agency Appointment – according to PandaDoc, the authorized manager should have the right or the authority in full to exercise actions and legal rights, which is needed in case some unexpected events or scenarios arise. Its responsibilities or tasks would include evicting tenants and collecting unpaid rent. 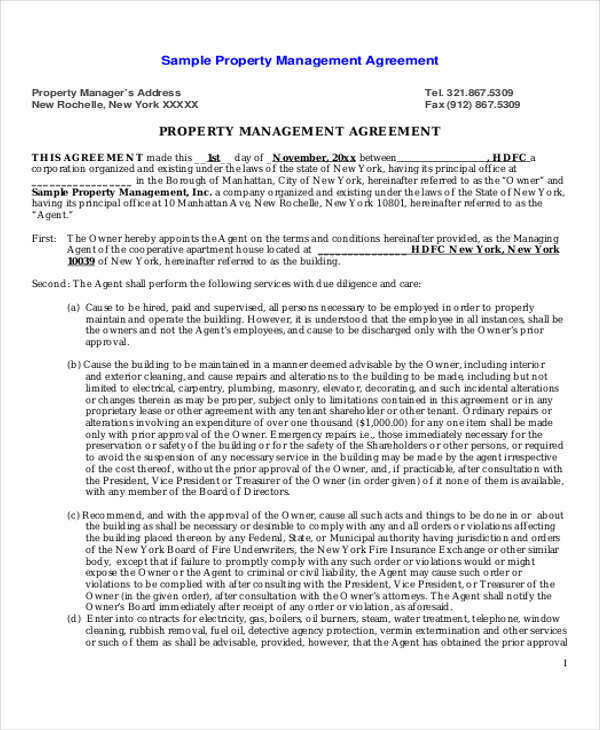 The authorized manager has also the right to enter the said property within the duration of the commercial property management agreement. 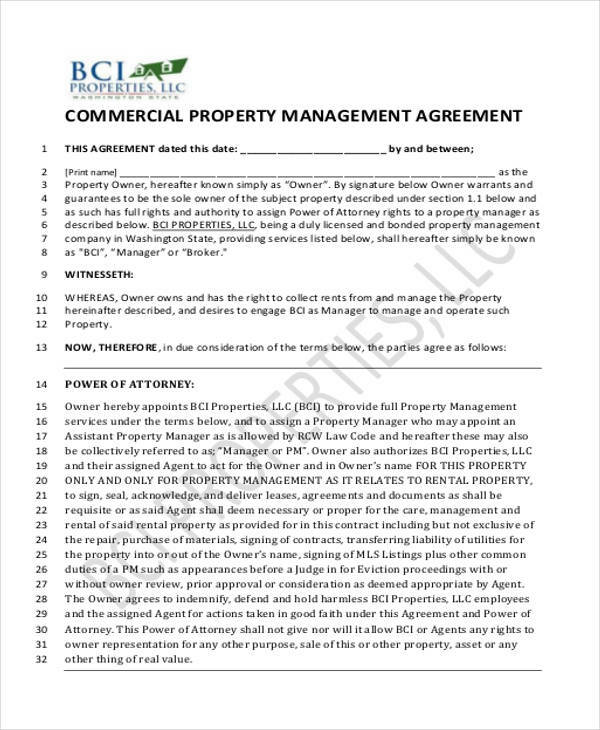 Limitation of Liability – this states that the managers, employees, and independent contractors (if any), all of which are hired by the manager, will have no liability whatsoever under the agreement, according to PandaDoc. This would also include liabilities that are usually related to damage to property under the manager’s supervision as well as injury to person’s liability. Insurance – the insurance for this agreement is to protect the interests of all the persons involved. The owner is also the one who is responsible for paying and shouldering the general liability of the insurance as well as obtaining it. 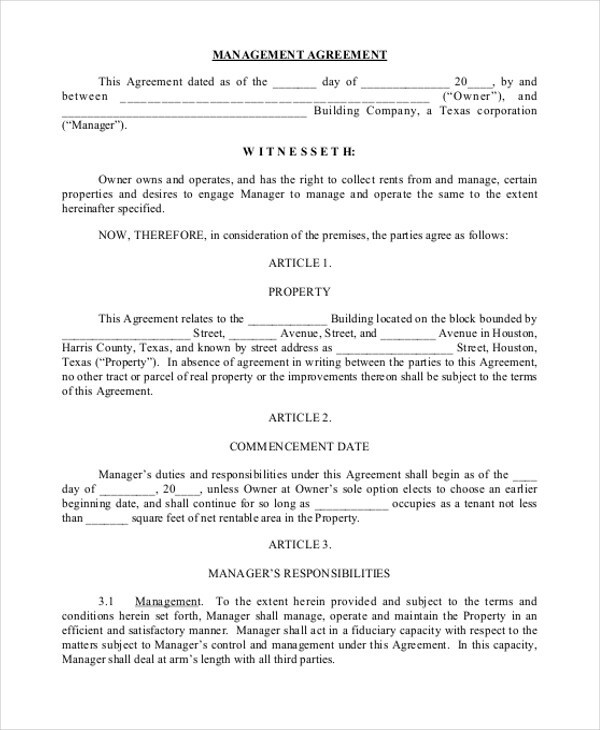 Terms and Termination – since it is clear for a fact that all of the parties are involved or engaged themselves on a lawfully binding agreement and eventually signed it, it entitles all of the specific individuals or company involved to terms and termination that is included on the agreement to which they signed to. 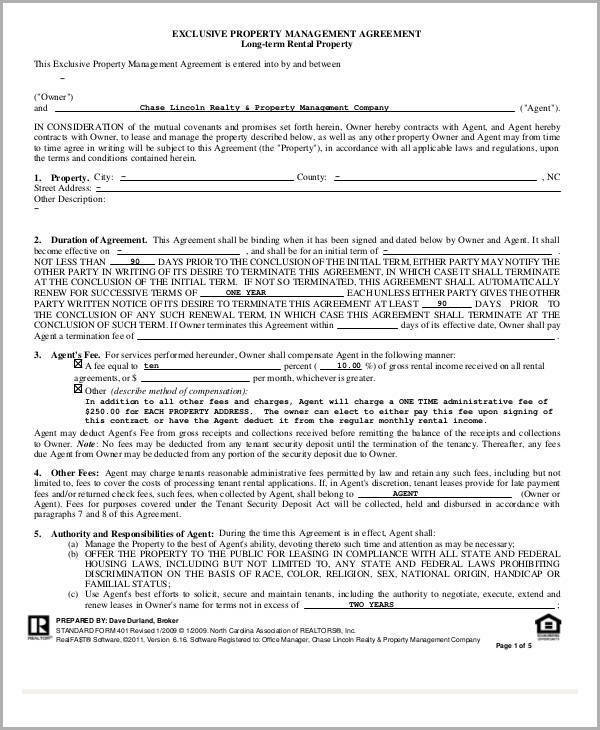 Typically, the agreement would renew after a year unless the owner would provide 60 days of extension. 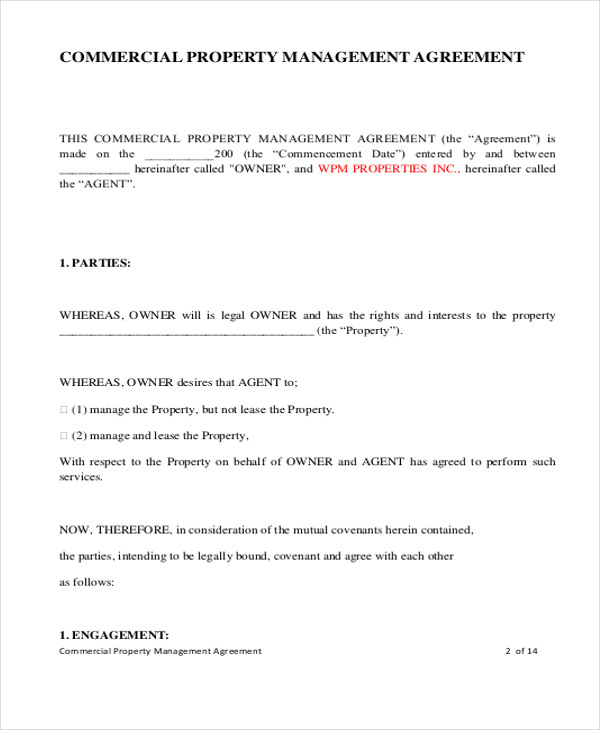 Furthermore, you can also check out this page’s examples of Commercial Lease Termination Agreements for free that you may find helpful and useful as a reference toward your commercial property endeavors.